West Ham suspends Mark Phillips for attending controversial march - SABC News - Breaking news, special reports, world, business, sport coverage of all South African current events. Africa's news leader. Marks Phillips said he attended the march and defended the DFLA. 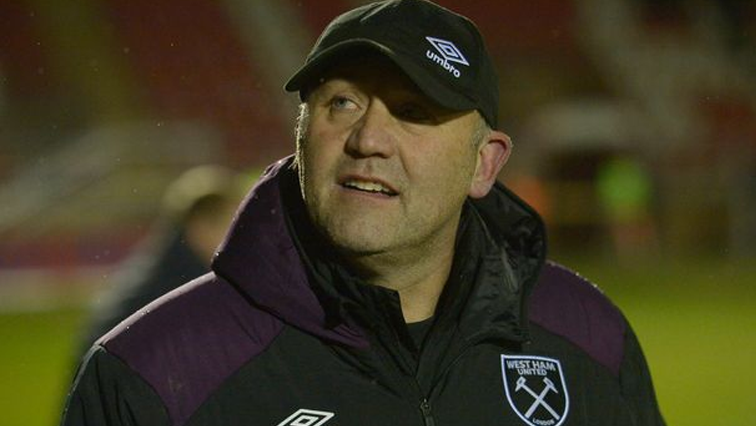 West Ham have suspended youth coach Mark Phillips after he took part in a controversial march last weekend, the Premier League club announced Wednesday. The Democratic Football Lads Alliance have faced accusations they are a racist and Islamophobic group. They marched through central London on Saturday to protest against what their Facebook page said were “returning jihadists, veterans treated like traitors, thousands of AWOL (absent without leave) migrants”, inadequate sentences for paedophiles and an “epidemic of gang and knife crime”. Phillips, in a series of posts on his Twitter account which he has now made private, Phillips said he attended the march and defended the DFLA against claims it was “far right” and responsible for violence with police and anti-fascism protesters on Saturday. Those tweets were forwarded to the football anti-discrimination charity Kick It Out, who in turn passed them onto England’s governing Football Association, as Phillips is a “participant in the game”. With Phillips not appearing to have broken any laws, however, the matter was referred to West Ham. As Phillips does not appear to have broken any laws, the case was passed on to his club, which took the decision to suspend him on Tuesday. In a statement, a West Ham spokesperson said: “West Ham United is an inclusive football club. Regardless of gender, age, race, ability, religion or sexual orientation, every supporter within our diverse fanbase is warmly welcomed at London Stadium. In February, West Ham sacked director of player recruitment Tony Henry over remarks he had made saying some African players “cause mayhem” and that the Hammers “don’t want any more Africans”. This entry was posted on 17 Oct 2018,09:31PM at 9:31 PM and is filed under Sport. You can follow any responses to this entry through the RSS 2.0 feed. Both comments and pings are currently closed.